View More In Indoor Bike Storage. 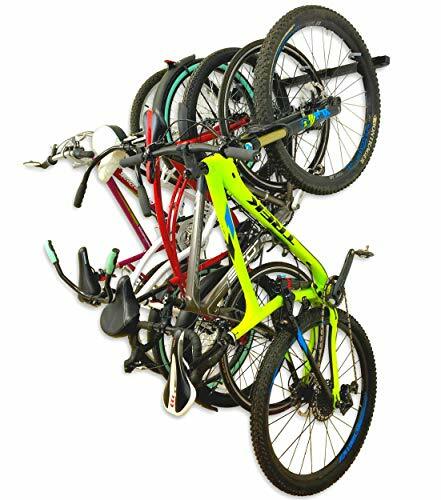 Made by StoreYourBoard, the leaders in gear storage, the Omni Rack is an adjustable, customizable wall storage solution for your bikes and gear in your home, garage, shed, or wherever else you would love to store your gear! -2 Wall Mounts: attach these to your wall, and insert the track through the mounts. What Bikes Will it Hold? HEAVY DUTY STEEL: built from steel to hold up to 200 lbs of gear! OMNI RACK: built to hold your bikes and your biking gear, and built to last! If you have any questions about this product by StoreYourBoard, contact us by completing and submitting the form below. If you are looking for a specif part number, please include it with your message.